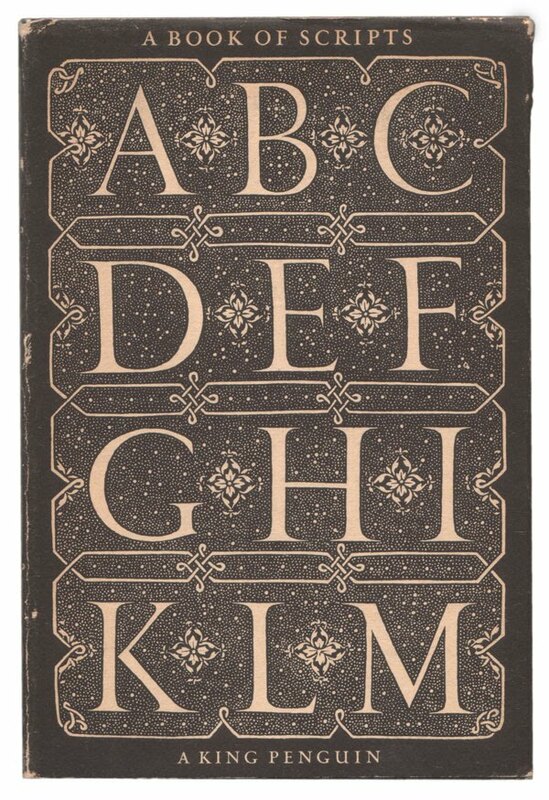 A Book of Scripts, by Alfred Fairbank, a King Penguin book about the history and development of handwriting. 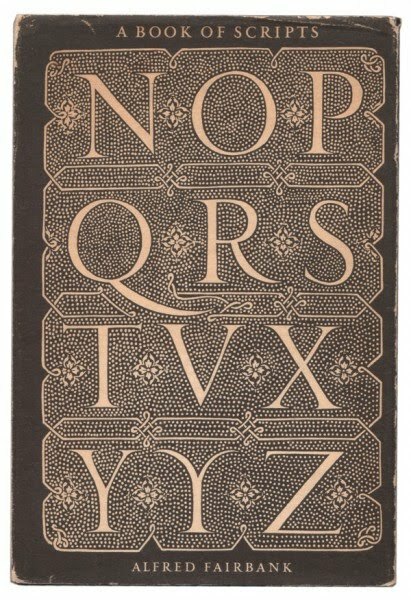 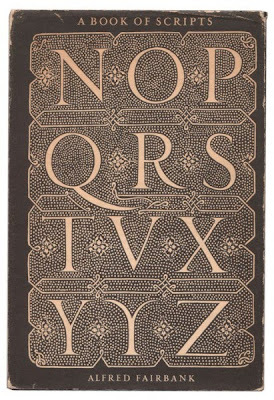 Cover designed and hand-drawn by Jan Tschichold, based on a page in Arte Subtilissima intitulada Orthographia Pratica, a classic work on calligraphy and engraving by the 16th century Spanish writing master, Juan de Yçiar (1515-90). 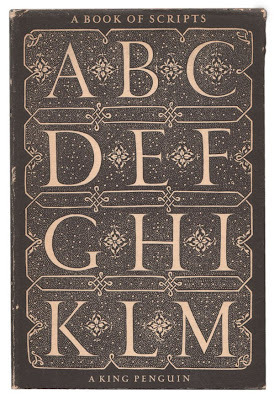 The National Book League recognized this title as one of the best-designed books of 1949.